Sports Connexion is a privately owned sports centre and venue located in the heart of Coventry and Warwickshire for over 25 years. Only minutes from Coventry, Leamington Spa, and Rugby with fantastic access to road networks, makes us easily accessible from all areas of the Midlands. 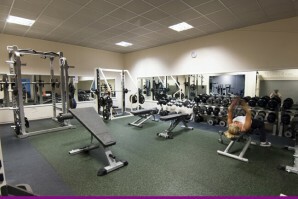 Gym – State of the art gym and weights training equipment. Fitness Studios – Spacious fitness studios. Classes – Wide range of fitness classes available. Sports Halls – Multiple sports halls of varying sizes. Badminton Courts – Several badminton courts for hire. Squash Courts – 2 fully refurbished squash courts for hire. Indoor Football Courts/Pitches – Indoor courts for hire. Indoor Netball Facilities – Multiple netball courts available. Indoor Cricket – Indoor cricket pitch and cricket nets for hire. Conference & Venue Hire – Conference rooms and halls of various sizes. Indoor Leagues – Football, Netball, Futsal, and Cricket, weekly. Sports Connexion (pronounced Sports Connection) is a multiple purpose venue for hosting events and conferences as well as serving as a top class Sports Centre with a state-of-the-art Gym & Fitness Centre. Originally built for use by Coventry City Football Club when legendary CCFC Manager Jimmy Hill wanted to improve training conditions, as well as help preserve the Highfield Road pitch by moving their training base to Ryton in the 1960s (just outside Coventry and near to Leamington Spa). 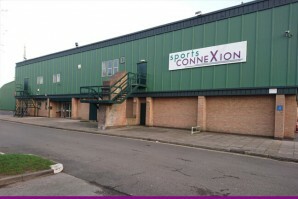 Originally called the Sky Blue Connexion it soon became a privately run gym, sports centre, and exhibition venue and in the early 1980’s it became known as Sports Connexion (that’s Sports Connexion not Sports Connection). Over the last few years Sports Connexion has undergone a massive renovation creating a state-of-the-art gym with full air conditioning, weights training equipment, indoor pitches/courts, and an entire leisure facility supporting athletics, health, and exercise. 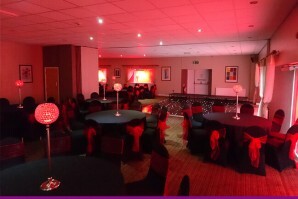 You will also find multi-purpose rooms for hire – conferences, meetings, and wedding venue. In short, we provide a wide range of sporting, recreational, and social activities to all in Coventry & Warwickshire… and everything under one roof.